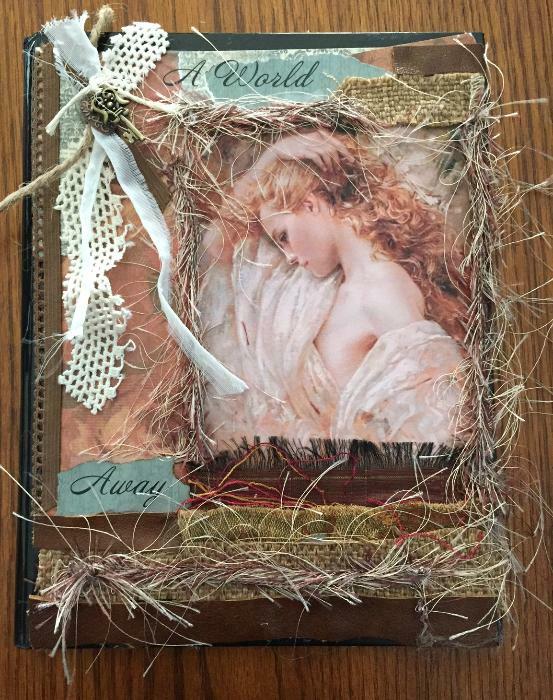 This beautiful journal was made by one of our faithful members just for our auction. She used fibers, recycled fabric and has a fabric block of an image of a beautiful lady. It also has metal embellishment, wallpaper remnants and wording that reads a world away. Scrap pieces of leather were also used to embellish and alter this piece.